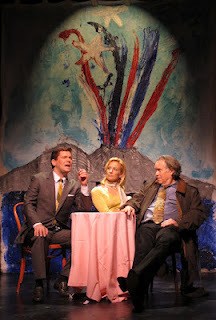 L-R: Brian Childers, Elyse Knight and John Fennessy in OBAMA IN NAPLES. Photo by Jonathan Staff. It might not be necessary to be a first generation Italian to appreciate Obama in Naples, now premiering in translation from the original Italian at the June Havoc Theatre, but it certainly may help. At least I think it might. At the performance I attended yesterday, it seemed to me that more than half the audience consisted of first generation Italians and they certainly acted as if they enjoyed the production more than I did, at least based upon my reading of their frequent spontaneous outbursts of applause, chatter and laughter. Perhaps it was that many of them actually had a firsthand knowledge of life in Naples – a knowledge I could not share, never having visited Naples myself. Or maybe they were just culturally steeped in the historic beauty and tragedy that infuses Southern Italy in a way that I, not sharing their cultural history, simply cannot internalize. Or maybe they just got some of the play’s “in jokes” that may have been lost on me. I’m really not sure what the explanation is but the fact remains that I found the play, presented as a comedic musical, to be a not very entertaining muddle whereas I must admit that many others in the audience did appear to be quite entertained by it. Obama in Naples was written by Claudio Angelini, a prominent Italian TV news anchor known as the Dan Rather of Italy. The play is billed as “a love poem to Naples with humor, satire and plenty of local color” and, indeed, it is both humorous and satiric in spots, but I do have difficulty seeing it as a “love poem to Naples.” When I think of “love poems” to cities, I think of Woody Allen’s odes to Manhattan, Paris and Barcelona, and Obama in Paris just didn’t elicit any such reaction in me. Obama in Paris is also billed as a funny, romantic play with songs about the dream of Neapolitan people to solve their problems through the "magic" of Barack Obama, the idea being that Neapolitans are especially susceptible to charismatic characters whom they perceive as potential saviors and that is a bit closer to the mark. Apparently, more than thirty years ago, the Italian President Sandro Pertini inspired the people of Naples in the days following the disastrous earthquake that struck Southern Italy, and Neapolitans have been waiting ever since for another political savior to take his place. San Gennaro, the patron saint of Naples, hasn’t done the city much good of late - Naples remains riddled with political corruption, poverty, and organized crime – and maybe, just maybe, the charismatic young American President Obama can take over where Pertini left off. Paolo (Brian Childers), an American journalist originally from Italy, has returned to Naples to write a story on the reconstruction of Southern Italy since the earthquake that devastated the area in 1980. (Back then, as a journalist, he had accompanied Sandro Pertini on his trip throughout the area). Since then, however, Paolo has been living in the US covering the White House and, as a consequence, he is now mistaken for an Obama correspondent or advance man. Pulcinella (Beau Allen), who also plays the role of the concierge at the hotel where Paolo is staying, has spread the rumor that Obama plans to visit Naples, to inspire and revitalize the city as he has done (or at least attempted to do) in America. When Obama (Toby Blackwell) coincidentally does arrive, he is welcomed as if he were the new San Gennaro, if not the Savior himself. The play is rife with a variety of silly sub-plots. Paolo encounters a former lover, Madeline (Elyse Knight, who also plays the role of Hillary Clinton) and her friend John, an undercover CIA Agent (John Fennessy). Gennarino (David Goldyn), the corrupt mayor, struts about with his lovely girlfriend (Jenna Dellacco). Lorenzo, an intelligent but bumbling and self-destructive medical researcher (Scott Johnson) is in debt to the Mafia, jeopardizing not only his own future but that of his girlfriend Maria (Lauren Maslanik). And Lorenzo’s aunt, the feisty Mother Concetta (Lin Tucci), is succeeding in keeping virtually everyone off balance. Despite my general misgivings about the play’s overall structure, there are a number of things about it that I really did like. For starters, the musical score is quite good. Moreover, the cast as a whole is quite talented, both as actors and as singers. Brian Childers, in particular, has an outstanding voice and both Lin Tucci and David Goldyn are comic geniuses. And both Toby Blackwell’s takeoff on Obama and Elyse Knight’s on Hillary Clinton would have made for great skits on Saturday Night Live. So maybe all those first generation Italians in the audience were right after all. The matinee performance of The City Club at the Minetta Lane Theatre that we attended last Saturday (see our post below) wasn’t scheduled to begin until 3PM which left us plenty of time for brunch in Greenwich Village before the show. We opted to try Café Espanol, located just a couple of blocks away on the corner of Bleecker and Sullivan Streets, and we’re really glad we did. 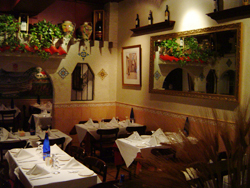 Café Espanol offers a complete lunch special for only $11.95 per person on weekdays and $13.95 on weekends. The deal includes a glass of beer, wine or sangria; any of three different soups or a house salad; and a choice of nearly two dozen different main courses ranging from chicken to pork chops to seafood. Coffee or tea and bread with olive oil are also included and, for an extra buck, you can also get your choice of flan or vanilla ice cream for dessert. Both Sue and I started with large glasses of very good Sangria. Sue then had the House Salad while I had a large bowl of Caldo Callego, a delicious potato, spinach and chorizo soup. (The other two soups on the menu were gazpacho and black bean but those will have to await my next visit.) For our main courses, both Sue and I chose paellas but her choice, Paella Marinera, consisted of all seafood, including shrimp, mussels, clams, scallops and calamari, while mine, Paella Valenciana, lacked the calamari but included a large piece of chicken and lots of sausage to boot. We were both more than satisfied with our selections. We shared one flan dessert (also good) and coffee. Service and ambience were excellent. It was a great value. We thoroughly enjoyed our meals and definitely plan to return. And for the most part, it does work. That is, it does provide two hours of sustained entertainment for those whose goal is just that – simply to be entertained – rather than those seeking something more in the way of a more inspiring, enlightening or original theatrical experience. 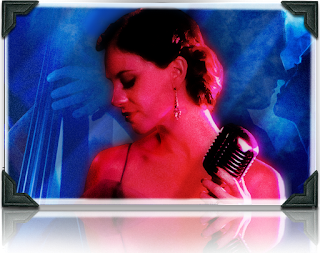 Yes, the blues and jazz score is both original and serviceable, some of the lyrics are catchy, and the singers’ voices are not only mellifluous but well amped by an effective audio system. Yet I don’t think that you’ll find yourself humming any of its tunes as you leave the theatre. And while the choreography is both ambitious and elaborate - and well executed by very talented dancers - it really is more acrobatic and gymnastic than balletic and I doubt if you will find it memorable either. The plot centers on Charles “Chaz” Davenport (Andrew Pandaleon), the wealthy son of a politically corrupt father, who seeks to atone for his father’s sins by opening The City Club as a club in which musical talent alone will assure its success, while racial, social and economic distinctions among its performers will be all but ignored. To that end, he has retained the ex-con Parker Brown (Kenny Brawner), a talented African-American musician, whom he hopes to promote as the lead pianist in his club, as well as Crystal LaBelle (Kristen Martin) who hails from “the other side of the tracks” and the dark skinned Madeline “Maddy” Bondurant (Ana Hoffman) as two of his lead singers – and as two of his many romantic interests. The club does prove to be successful, but not quite in the manner Chaz had envisioned. Absinthe and heroin take their toll on the club’s performers while Chaz’s father’s enemies, both political and personal, seek their revenge. Chaz is threatened with extortion but a Police Lieutenant (Peter Bradbury) comes to his assistance; yet, in accepting the Lieutenant’s aid, Chaz ends up making a deal with the devil. Murder will out – and betrayal – and the wages of sin. The play, in effect, devolves into a morality tale between the forces of good and evil and, despite Chaz’s best intentions, the climax is both inevitable and predictable. The entire cast – singers, dancers and actors alike – all deserve credit for truly professional performances. But if I were to single out any one individual for accolades, it would be the very talented Kenny Brawner as Parker Brown. While it is true that to a large degree, his somewhat cartoonish role seems to have been fashioned after that of Sam in the classic film “Casablanca,” certainly he is not to be blamed for that. And he has truly made the most of the role he was given, both theatrically and musically. Agatha Christie’s The Mousetrap - the longest running play in modern history – may be in a class by itself (having clocked more than 24,500 performances in London’s West End since it first opened there in 1952 and still going strong), but Warren Manzi’s Perfect Crime at Broadway’s Snapple Theatre – the longest running non-musical play in New York City history with more than 10,000 performances under its belt - is no slouch either. Having opened off Broadway in 1987, Perfect Crime has relocated several times over the years both on and off Broadway, but last night was something special as it celebrated its 25th anniversary performance, followed by dinner, an open bar and an anniversary party to which the entire audience was invited. We first saw Perfect Crime, starring Catherine Russell as Margaret Thorne Brent, a psychiatrist, more than two decades ago and enjoyed it considerably. But when we accepted an invitation to attend the 25th anniversary performance last night, we weren’t sure how well the play would hold up after all those years or whether we’d enjoy it this time nearly as much. We needn’t have worried. The play is still great fun – a rollicking, multi-layered whodunit in which Margaret may or may not have murdered her husband, W. Harrison Brent (John Hillner); in which one of Margaret’s patients, the cross-dressing Lionel McCauley, (Rob Sedgwick) may or may not be a murderer – or a victim – himself; and in which Inspector James Ascher (Richard Shoberg) may be on to Margaret, or may be in love with her, or both, or neither. Amazingly, the lead role of Margaret is still being played brilliantly by Catherine Russell, who has starred in the play since its first performance (without ever having taken a sick day or vacation day), a feat which landed her a spot in the “Guinness Book of World Records.” During that time, Russell has spent nearly 17,000 hours onstage performing the role of Margaret, has shot 89 different men and kissed 57 others. In total, the show has employed 237 actors during its 25-year existence – but Russell has been at the center of it all throughout that entire time. It’s hard to imagine that one might live in New York and not yet have seen this show but if you do and if you haven’t, you might find it fun to do so. You won’t get dinner and an open bar thrown in, but just going to see the play itself would still be worth your while. Three generations of our family – my wife and myself, our daughter Laurie (an English teacher and published author of children’s books in her own right), and our 11 year old granddaughter Naomi –attended the opening performance of the off Broadway premiere of The Butterfly at Theater 3 on West 43rd Street today. And we’re all glad that we did. 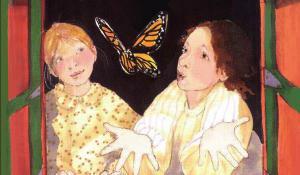 Based on the book of the same name written and illustrated by Patricia Polacco, The Butterfly relates the story of two young girls who become friends in 1942 in Nazi-occupied France. Sevrine, a young Jewish girl (Carly Paige Baron) and her father Walter (Greg Roderick) have been provided refuge in the attic of Marcelle (Maree Johnson), a Catholic member of the French Resistance, when Sevrine is discovered by Marcelle’s young daughter Monique (Courtney Shaw). Sevrine and Monique realize that despite the difference in their religious backgrounds, what they have in common vastly outweighs their differences and they become as close as sisters, with Monique ultimately assisting Sevrine and Walter to escape to freedom in Switzerland. The play’s other characters include Henri (Alex Goley), Monique’s young neighbor who has been misled into joining the Nazi youth corps in France after the death of his father and who has been brainwashed into believing that the Jews, rather than the Nazis, were responsible for his father’s death; Monsieur Marks (John Little), a Jewish candy shop owner and Monique’s friend, whose life is also at risk in Nazi-occupied France; Pere Voulliard, a Catholic priest and active member of the French Resistance (who also is played by John Little); and two other Nazi soldiers (also played by Greg Roderick and John Little). The Butterfly was originally produced by Making Books Sing (MBS) at select venues in all five boroughs of New York in 2008 and is now receiving its off Broadway premiere – the first such revival by MBS in its 22 year history. Founded by Barbara Zinn Krieger, who wrote the book and lyrics for this production and is MBS’s Artistic Director, MBS is a non-profit company that promotes children’s literacy through arts-in-education programs and theatrical productions. This production is professional and inspiring, delivering important messages both for children and adults regarding discrimination, intolerance, integrity, compassion and courage and it is worth seeing. But it does have its shortcomings. For one thing, the play is being promoted as suitable for ages seven and up but I would question whether the subject matter really is appropriate for children as young as seven. (To be sure, I did think it suitable for children as young as my granddaughter and there were several children younger than she in the audience who displayed no ill effects, so perhaps I’m being a bit over-protective here, but seven did strike me as too young, given the play’s context.) I also thought that the play was a little heavy-handed in the politically correct messages it delivered, but that might be somewhat unreasonable of me: surely it was too heavy-handed for an all-adult audience but it might not have been possible to be any more subtle and nuanced in transmitting the play’s messages to its primary audience of young children. Finally, I was not overly impressed by the play’s musical score or lyrics. But those are small quibbles. Krieger has done a fine job of adapting Polacco’s book to the stage, the entire cast is quite professional, and this is a worthwhile family entertainment. It will be running through April 29 and tickets are available at www.makingbookssing.org. Originally produced in Scotland last year by Tron Theatre Company in Glasgow and subsequently at the Traverse Theatre at the Edinburgh Fringe Festival, A Slow Air, written and directed by David Harrower, is now receiving its US premiere as part of Scotland Week at 59E59 Theaters. 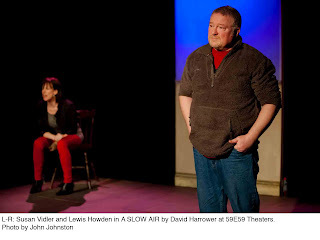 Structured as a series of alternating monologues directed not at one another but at the audience by Athol (Lewis Howden) and his younger sister Morna (Susan Vidler), the play might have been expected to lack the theatrical force necessary to succeed. But that turns out not to have been the case at all. Harrower’s writing and direction are so crisp and Howden’s and Vidler’s performances so stellar that the play proves engaging from beginning to end. When Athol, a kindly, middle-aged, hard-working owner of a floor tiling company, and his wife Evelyn, first moved from Edinburgh to Houston (a small town near the Glasgow airport), he wasn’t sure he’d made the right decision. His neighbors seemed aloof, unfriendly, even stuck-up, but that all changed after a terrorist attack at the airport and the disclosure that the terrorists had actually lived in Houston brought the townspeople together. Now Athol is settled in, he looks out for his neighbors and they for him – but his business remains a struggle and his frustration is palpable. Meanwhile, Morna, a single mother whose cartoon-drawing son, Joshua, is about to turn twenty-one, continues to work as a housecleaner in the Dairy area of Edinburgh. Morna, as it turns out, ran away from home at seventeen and she and Athol have not spoken to one another in fourteen years. She is angry, belligerent, hard-drinking and slutty, and exhibits an unearned sense of entitlement. To be sure, she's had a tough life but she doesn't seem to see how2 any of that might have been of her own doing. When Morna’s racist son, Joshua, arrives unexpectedly at Athol’s home, he sets in motion a series of events that lead to our discovering the reasons behind Morna’s having left home, learning the causes of the siblings’ estrangement, understanding the sense of futility in their lives – and recognizing in these two superbly drawn characters the universality of familial misunderstanding and the toll it takes on human lives. 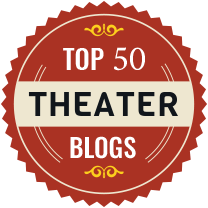 Considering how well-received 4000 Miles was when it had its LCT3 world premiere at the Duke Theater last summer, it is not surprising that Lincoln Center has chosen to provide the play with an encore run at its larger Mitzi E. Newhouse Theater. Written by Amy Herzog, the play centers on Leo (Gabriel Ebert), a 21 year old hippie loosely based on one of Herzog’s cousins, who arrives unexpectedly at 3 AM at the Greenwich Village home of his 91 year old grandmother, Vera Joseph (Mary Louise Wilson). Leo, as it turns out, has just completed a cross country bicycle trip from Seattle to New York and needs a place to crash and stash his bike. According to Herzog, Vera (who previously appeared in a more subordinate role in Herzog’s earlier play, After the Revolution), is based directly on the playwright's grandmother, a passionate Marxist who, at 95, still lives independently in her Greenwich Village apartment. Somewhat surprisingly then, given Vera’s persona, this turns out to be a very low key quiet play in which not very much happens. It is much more of a mood piece than a dramatic story. Leo ends up staying with his grandmother longer than he had planned, but the additional time isn’t put to much use. He and Vera share memories of loss (Vera has been widowed for a decade, she is now the last of her octogenarian club and, as the play nears a close, her across-the-hall neighbor passes away as well; for his part, Leo lost his best friend, Micah, in the course of his transcontinental bike journey and, by the end of the play, he is eulogizing Vera’s across-the-hall neighbor, whom he had never met). Leo and Vera have other things in common as well, including a dislike for Leo’s mother (Vera’s step-daughter). All of this might suggest that the play is about what we all have in common but it is not. On the contrary, despite Vera’s platitudinous concerns for others, an outgrowth of her Marxist leanings, when push comes to shove, the play forces us to realize just how separate from one another we all are. Vera and her across-the-hall neighbor may have telephoned each other every night to see how each other were doing (or at least to confirm that they were both still alive), but neither would ever have dreamt of just dropping in on the other unannounced. When Vera reminisces about her first marriage to a philanderer, it is to recall how separate their lives were. When Leo’s best friend, Micah, died on their road trip, Leo didn’t attend the funeral but just continued on his own way. Neither Leo nor Vera ever make any real attempt to re-connect with Leo’s mother. When Leo addresses Vera, it is only sometimes as “grandmother” and just as often as plain “Vera.” Perhaps most tellingly, Herzog even chose to create Leo as Vera’s step-grandchild rather than as her blood relative, as if to underscore their separation and de-emphasize anything they might have in common. In sum, this play is less like a unified painting and more like a collage (and a rather nihilistic one at that). Here are some pieces from Vera’s life and here are some pieces from Leo’s. Occasionally they may touch each other or even overlap a bit, but they generally remain distinct. There is no single important story line in which both Vera and Leo play major roles but rather parallel story lines for the two of them with occasional intersections. And the same thing is true for the other two characters in the play: Bec (Zoe Winters), Leo’s sometime girlfriend who is not about to allow her life to become too entangled in his, and Amanda (Greta Lee), Leo’s almost one night stand whose name he has difficulty remembering. And that is why I found the play to be mildly disappointing. To be sure, Herzog has a wonderful ear for dialogue and she has created a terrific character in Vera Joseph (or at least recognized the theatrical potential in her own grandmother and brought her to life on the stage). And, without question, the acting, especially by Wilson, is absolutely delightful. But, at least for me, fine dialogue and professional acting aren’t enough. A good play requires a real story line as well and that, unfortunately, was what was lacking here.